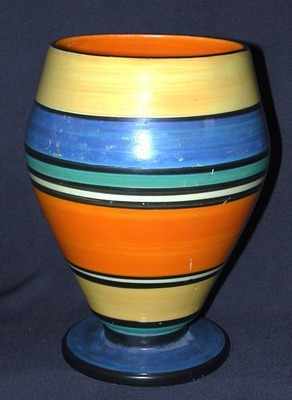 Rare shape 363 Vase in the Liberty pattern. Size 6.25 inches high. Has had a hairline proffessionaly restored. Signed "Bizarre by Clarice Cliff".